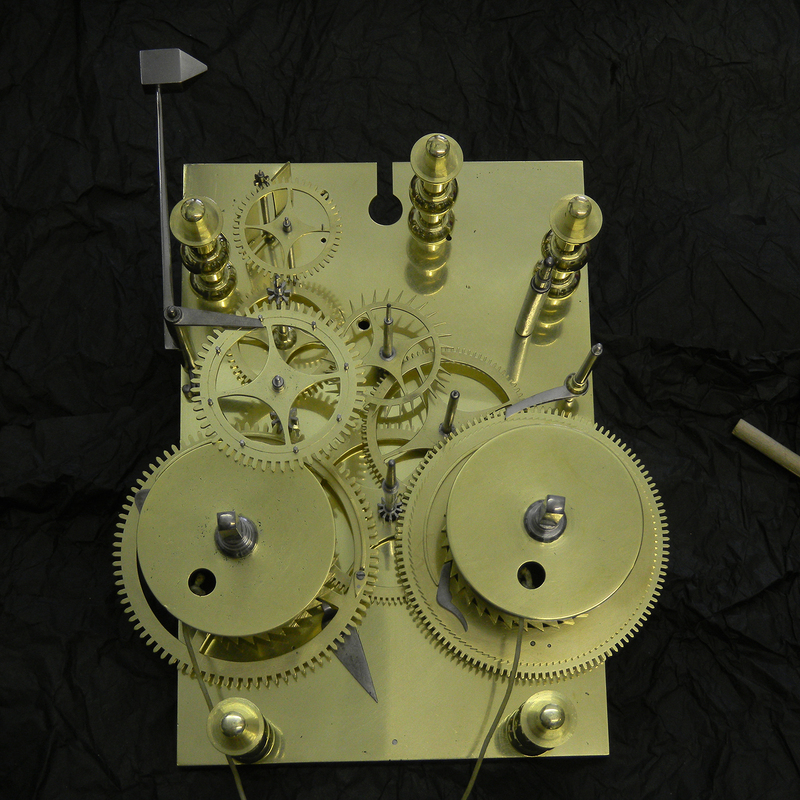 As received in my workshop, the majority of this clock’s movement was missing. 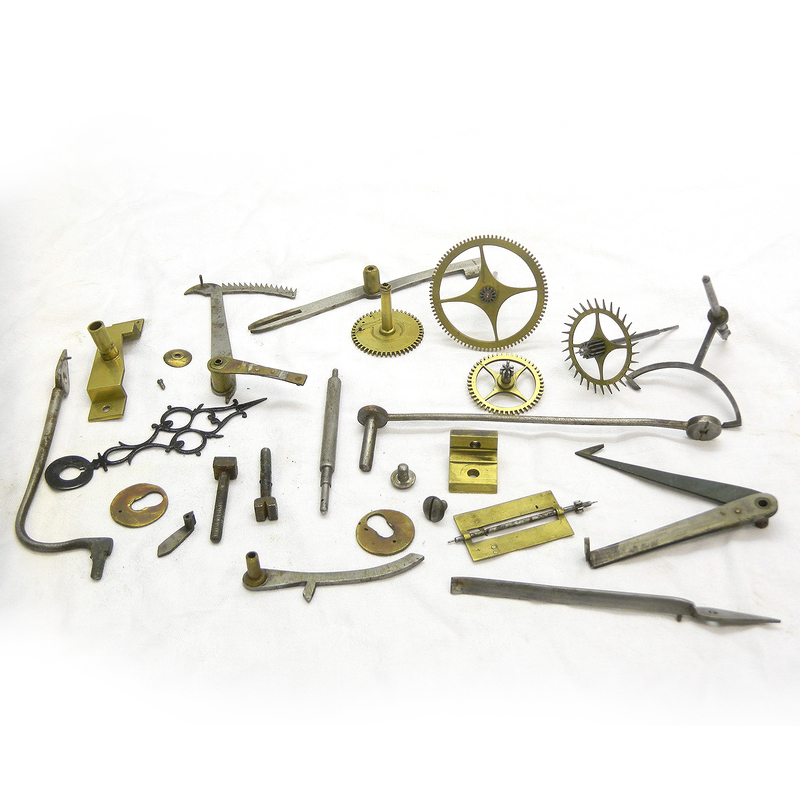 The case, dial, seat-board, pendulum, weights and a small miscellaneous collection of parts were still present, however. 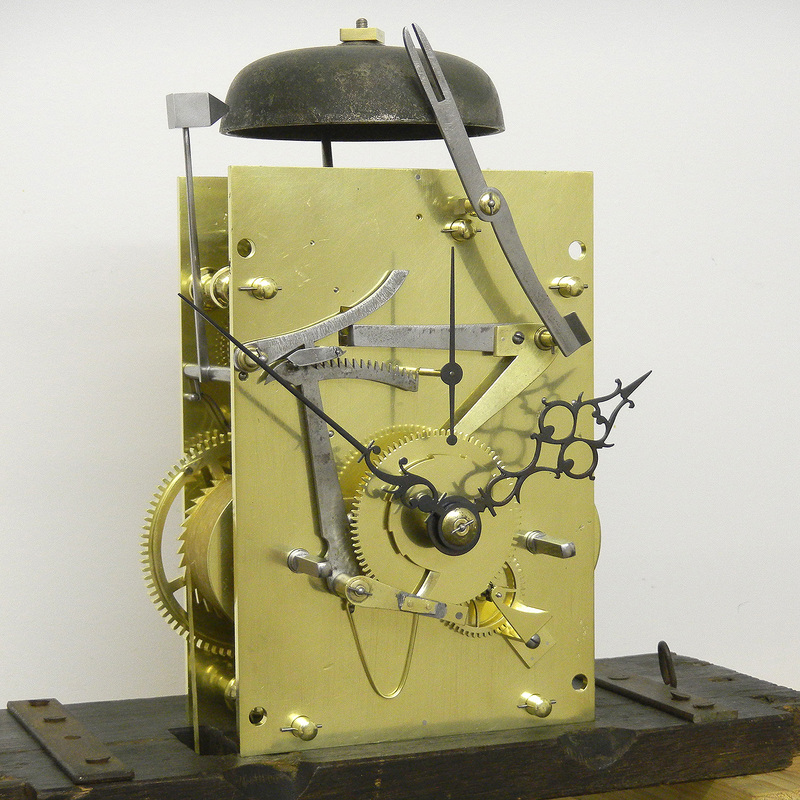 Incorporating all the existing parts without modification and taking dimensions from the dial, seat-board and case, I made a new movement for this clock which I believe to be as close as possible to the original as could be determined. 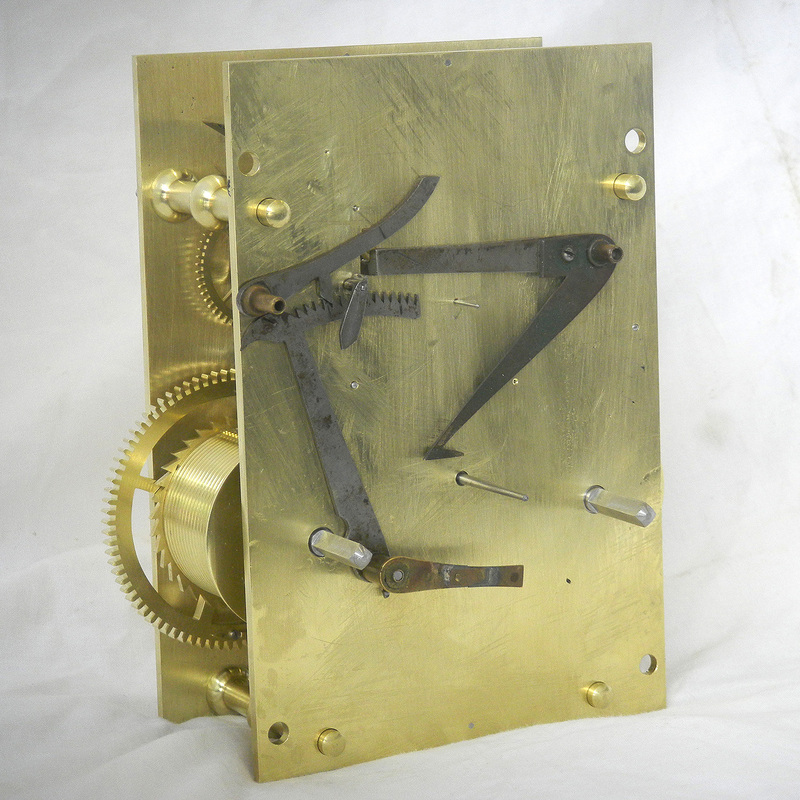 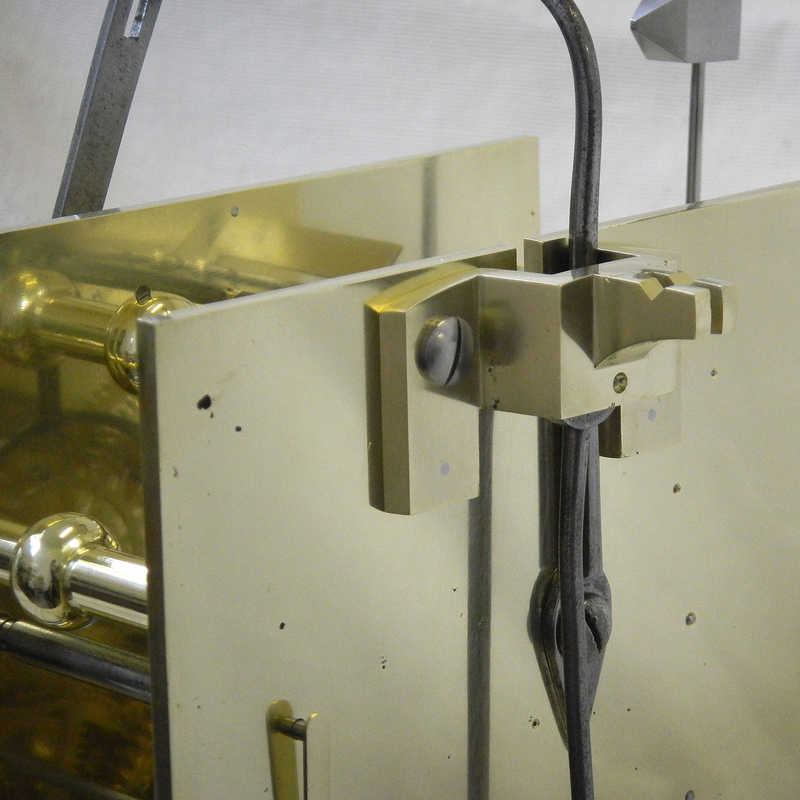 The correct positioning of the original strike lever-work, for example, was critical in determining the exact layout of the movement and the dimensions of the dial and the witness marks on the seatboard dictated the size of the plates and the style of the pillars. 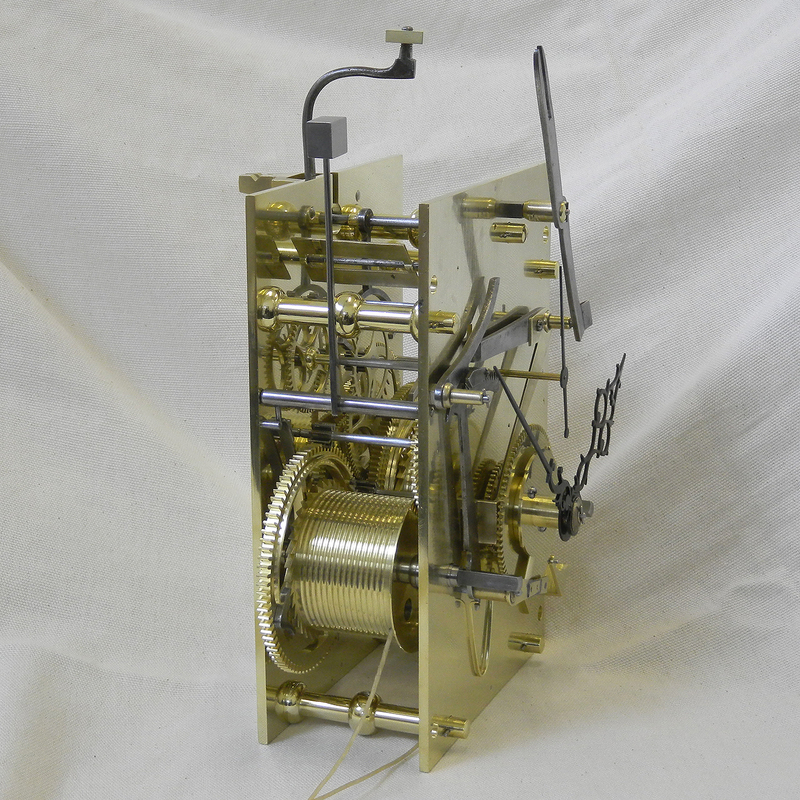 I constructed the movement using traditional materials and practices and made it in a style contemporary with the case and dial, which are of circa 1780. 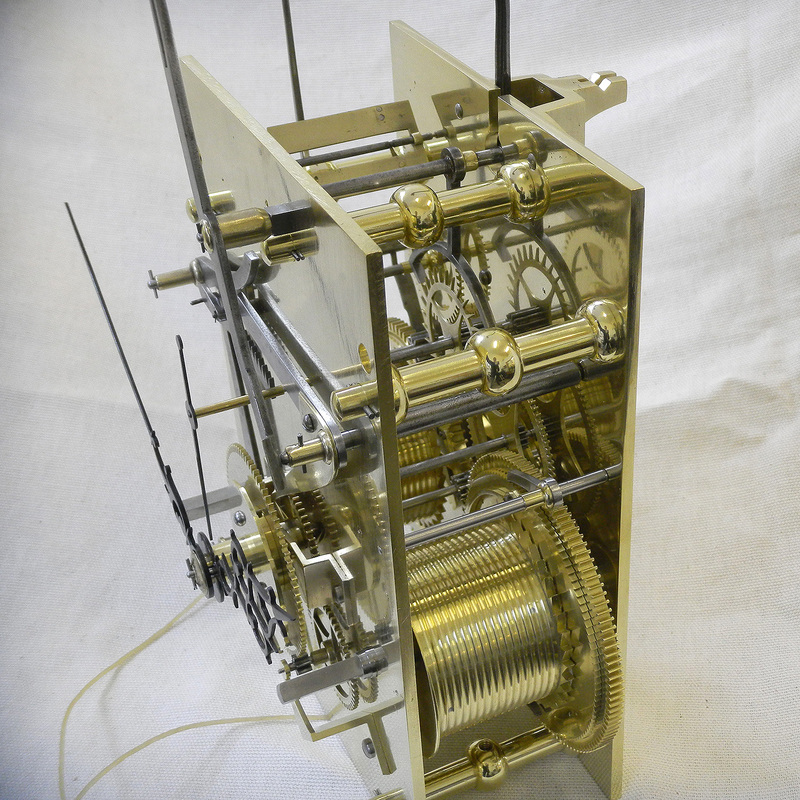 Once completed, it was polished and finished in a manner appropriate to the original clock’s era of manufacture and I made new seconds and minute hands to suit the dial and the existing hour hand. 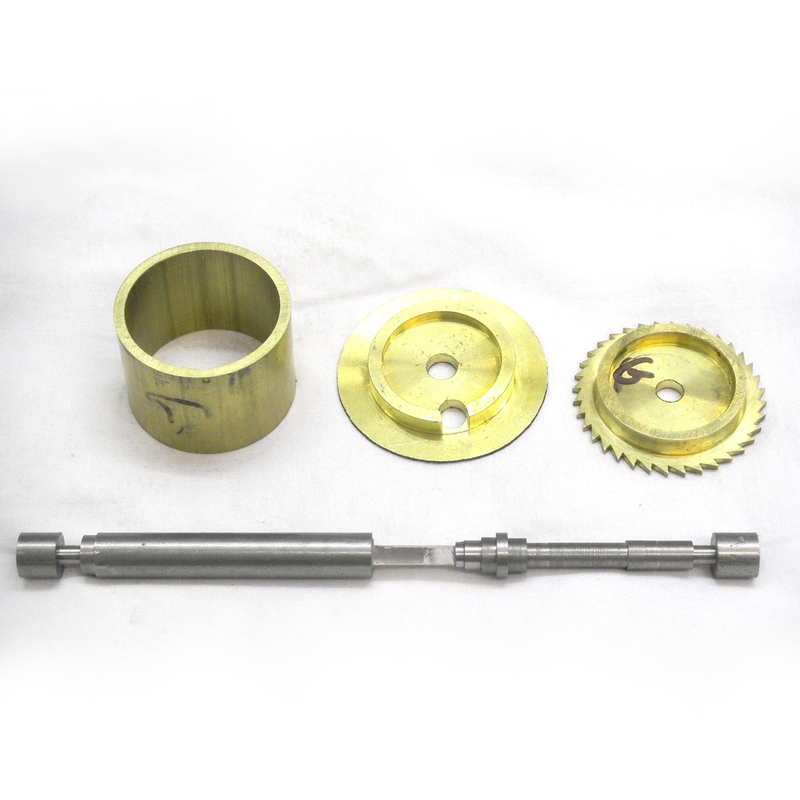 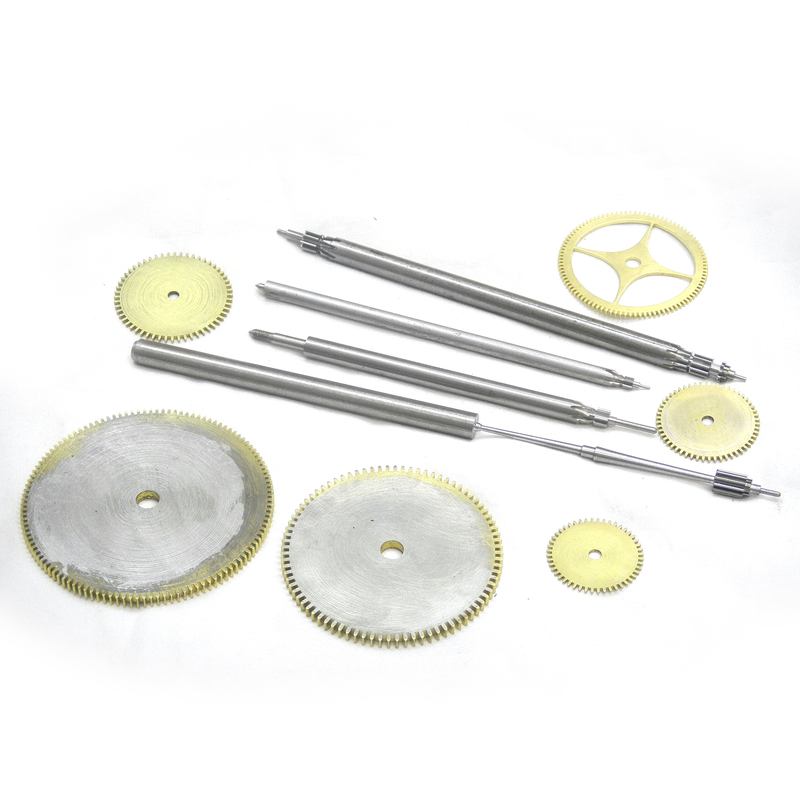 The five pillar movement is of eight day duration, having full hour strike-work with strike/silent and a dead-beat escapement with Harrison’s maintaining power. 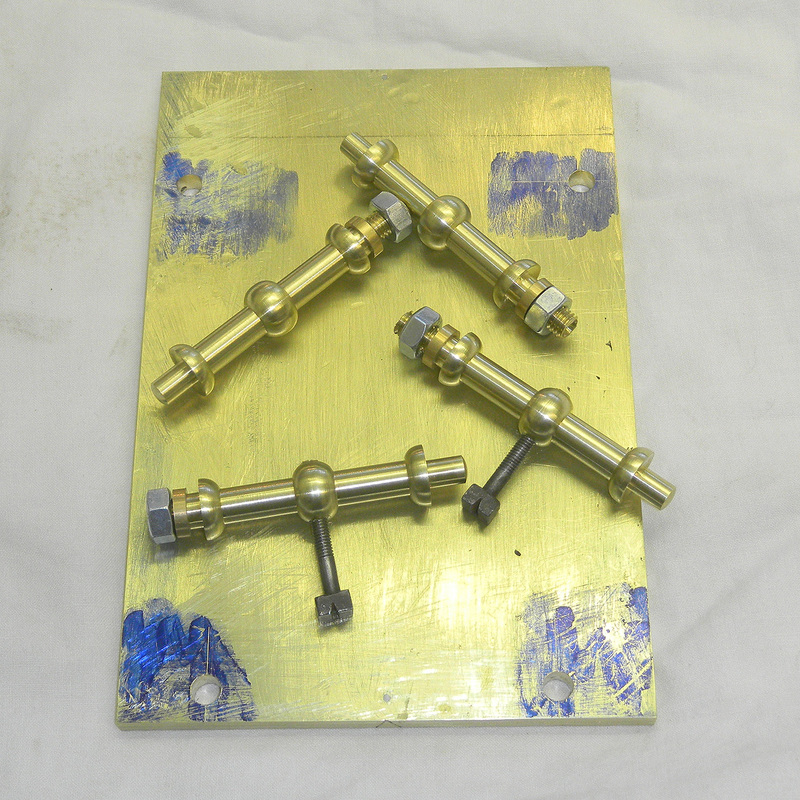 The movement took several hundred hours to complete and the accompanying photos show the various stages of production.